You don't have to be a child to love our playhouses. Who wouldn't love that child-sized dutch door, working windows, matching flowerboxes and detailed dormer? Go in the full-sized side door to look at the quality construction, check out the low maintenance vinyl composite trim on the exterior, and consider the variety of delightful options you can add. 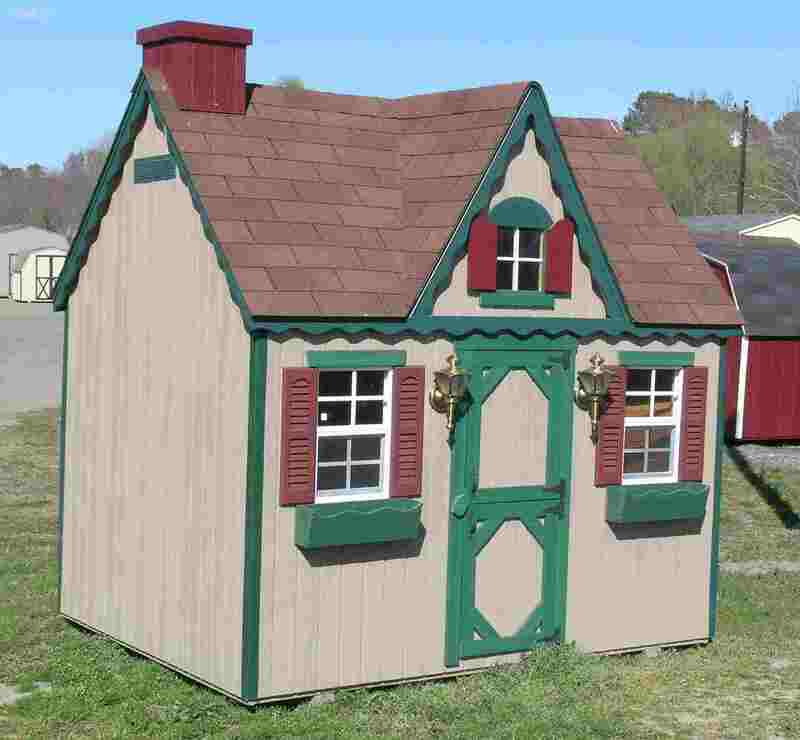 Available with either Duratemp or vinyl siding in a variety of siding and trim colors, in sizes from 4'x6' to 10'x16', it is as much fun to pick your playhouse out as it is for your youngster to play in it! Local delivery is included, just like our full sized buildings.